Thanks for the great review! I'll be adding it to my TBR pile! I'm happy that you enjoyed this one (and that it pulled you out of a slump)! 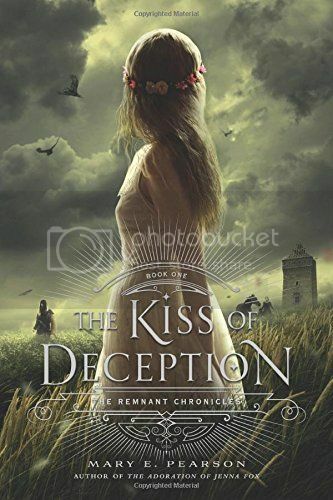 I wonder what will happen in Heart of Deception! I'm happy you like this one (and that it pulled you out of a reading slump). I'm curious as to what's going to happen when Lia arrives, there's gotta be another side to the story! OOoh great review! Have read many positive reviews on this one and it's in my TBR mountain, I just haven't had time to read it yet! Hoping to do so sometime this year! LOL! Doesn't sound promising, but I am in the midst of finishing a challenge with my current read and then I need to read all the review books that piled up pre-challenge time! Again, great review! Sooooo cannot wait to read this one! So happy you loved TKoD! It was definitely an excellent story, so well-written. Hm, this is almost funny because the only other review I have seen on this book was a completely negative one! Maybe it really depends on the person who is reading it as to whether or not they will enjoy the book? I am not sure what I feel yet, but maybe I should read more reviews! Thanks for your opinion, and I am glad you liked it so!